Nothing makes me happier than great skin! 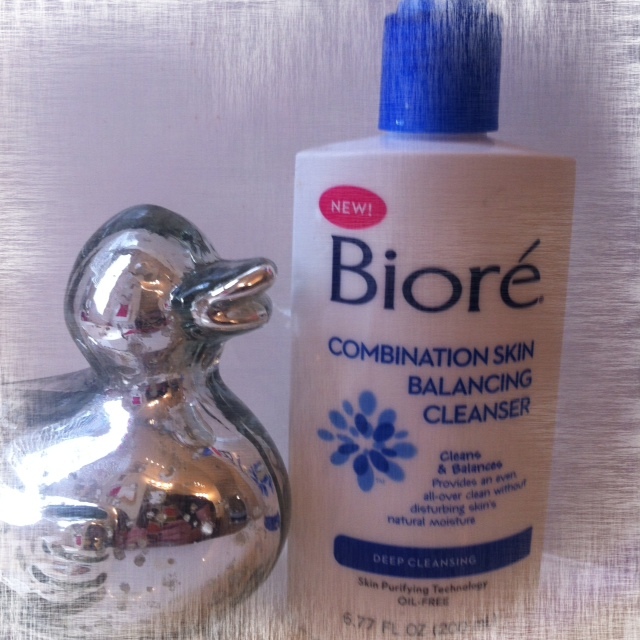 So when the Glambassadors program asked me to try out Biore Combination Skin Balancing Cleanser I was excited. After years of using the Biore Pore Strips I had high hopes for the brand's cleanser. It did not disappoint. With my overly sensitive skin breakouts are an unfortunate occurrence when trying many new products. In the case of the Biore Combination Skin Balancing Cleanser I had no issues with pesky breakouts. It left my face feeling moisturized, very soft. The product sells at a very competitive price point and I say it is a very good addition to my beauty routine! What are your go to products? Have you tried the Biore brand before? I have not used any of their products before. I will look for that stuff when I run out of what I am using. So glad that you are given the chance to try this stuff out. How Fun! I think you would really like their products!